Reports are coming in that point towards a new Square Enix title called Kimi to Kiri no Labyrinth. 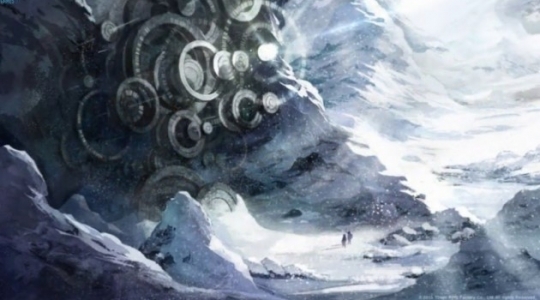 The trademark filed by the company turned up on several gaming publications overnight, and many believe that this is the follow up to Tokyo RPG Factory’s excellent JRPG sleeper-hit, I Am Setsuna. Well, there’s not much to suggest this is indeed the case, but Kimi to Kiri no Labyrinth follows a similar naming pattern to I Am Setsuna’s Japanese title, Ikenie to Yuki no Setsuna. There is no confirmation on what this project is, but plenty are holding out for Tokyo RPG Factory’s second chance at a classically styled JRPG. The multiple uses of the Japanese “to” and “no” in the title make for a minimal connection at best, but I’d say the timing is just about right to at least give the idea a small tease. It could just as easily be yet another Square Enix mobile title, so who knows?